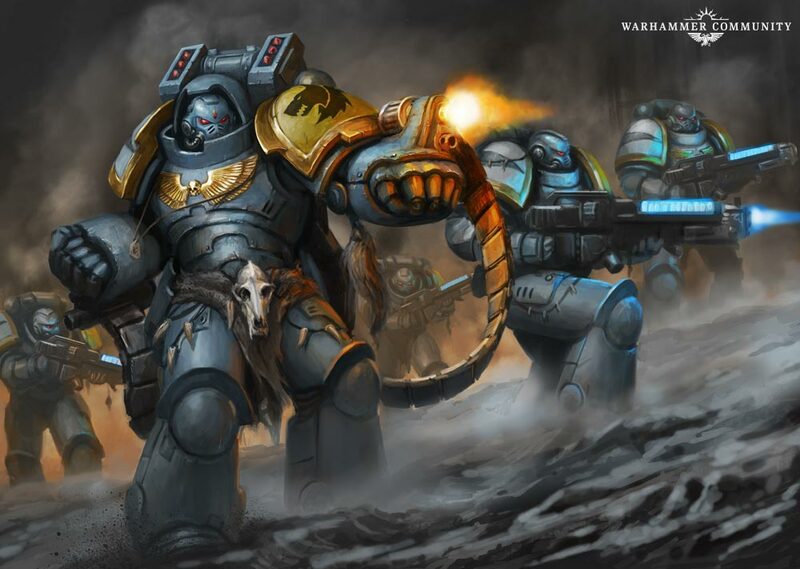 So far, we know that Space Wolves are getting a Wulfen Dreadnought, plus all thebregular Codex toys for Marines. 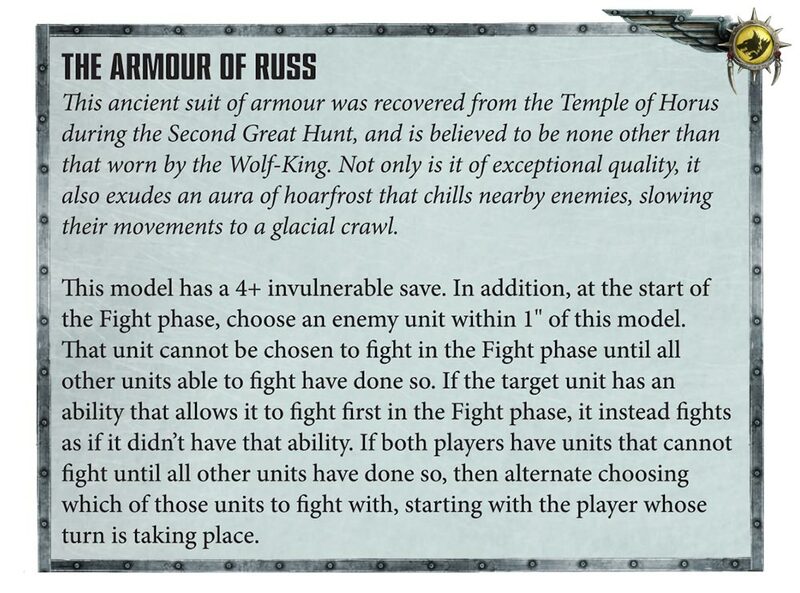 Here’s a look at what makes the Space Wolves feel Unique. 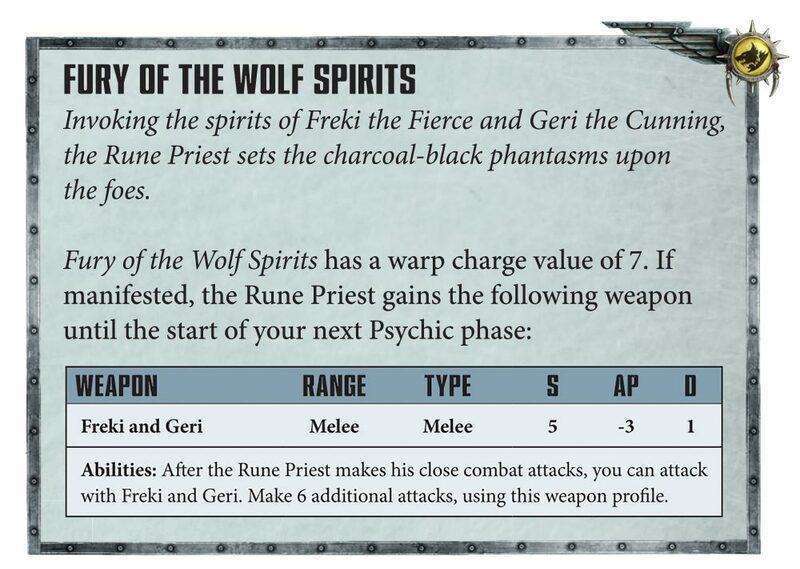 The Space Wolves are coming, and to prove that we’re not barking up the wrong tree when getting excited for these guys, here’s a quick preview of some of the stratagems, relics, psychic powers and warlord traits–or Sagas as Space Wolves get them–so you can see what makes this faction function. There’s a lot to wolf down, so let’s just dive on in. 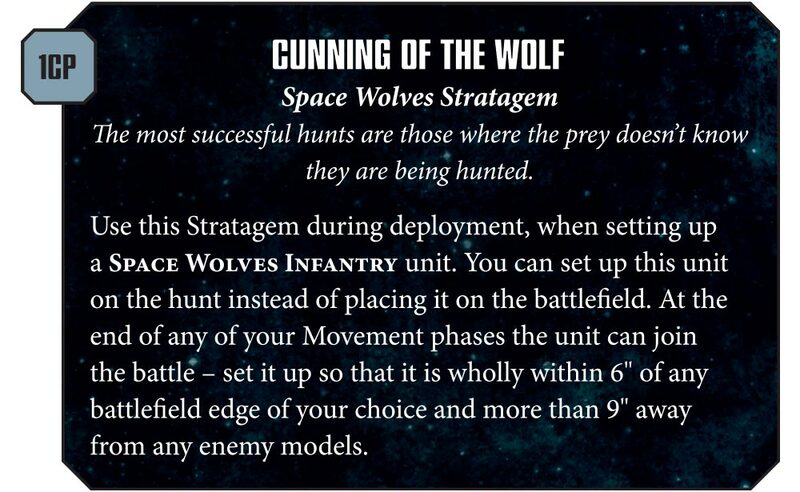 Space Wolves, being the cunning hunters they are, have a lot of stratagems, 27 all in all. 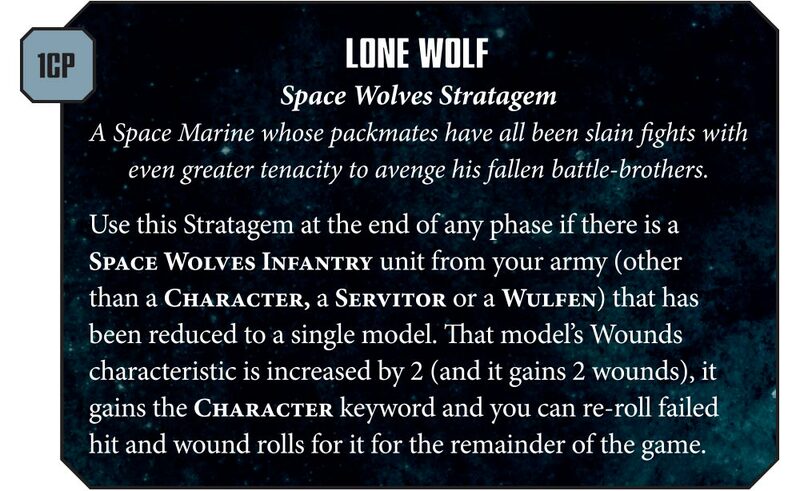 And as you’d expect from a bunch of viking werewolves, these stratagems are appropriately storm-hewn and wolf-centric. 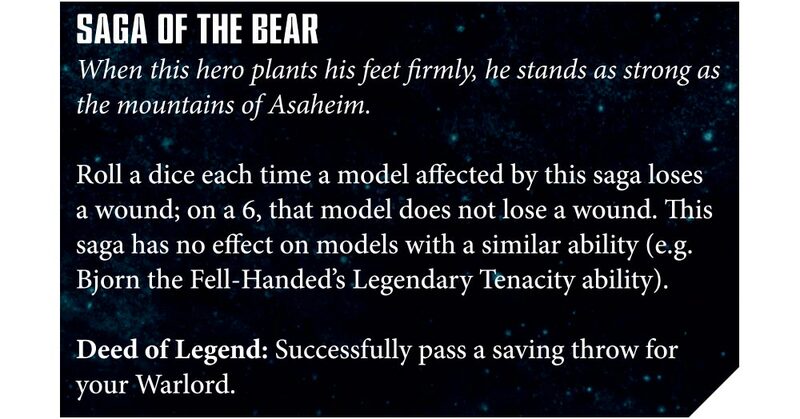 Instead of Warlord Traits, Space Wolves have Sagas, making even a generic character into a more charactery character. These are traits, but, when you complete the Deed of Legend associated with them, it transforms the trait into an aura instead. Space Wolf characters love to run in packs, after all. But what good is an awesome character if you can’t outfit them with sweet gear. Well feast your eyes upon this pack of relics my friends. 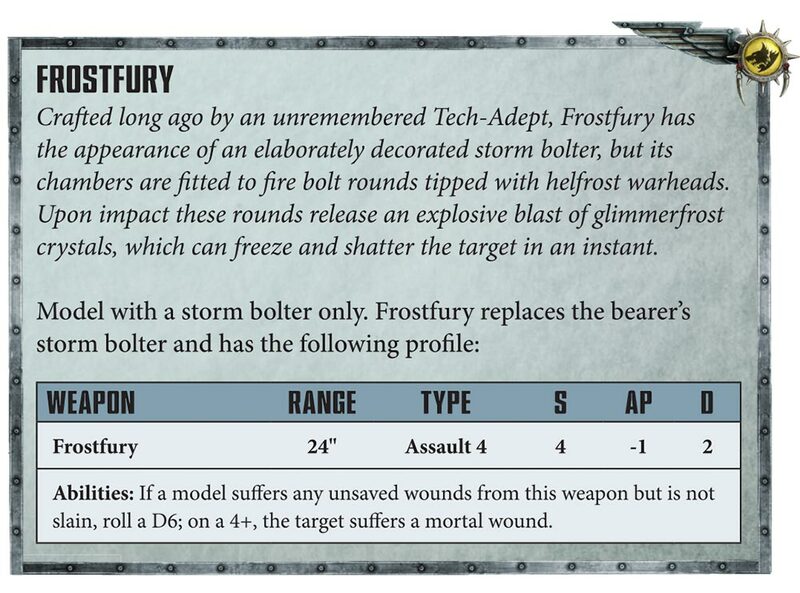 So a pretty decent invulnerable save, plus negate an enemy’s fight phase, potentially, and a Storm Bolter with 2 damage. Really feeling like that extra relics stratagem might be with it. Their new psychic discipline is pretty sweet as well, check out these Ragnarokian powers. 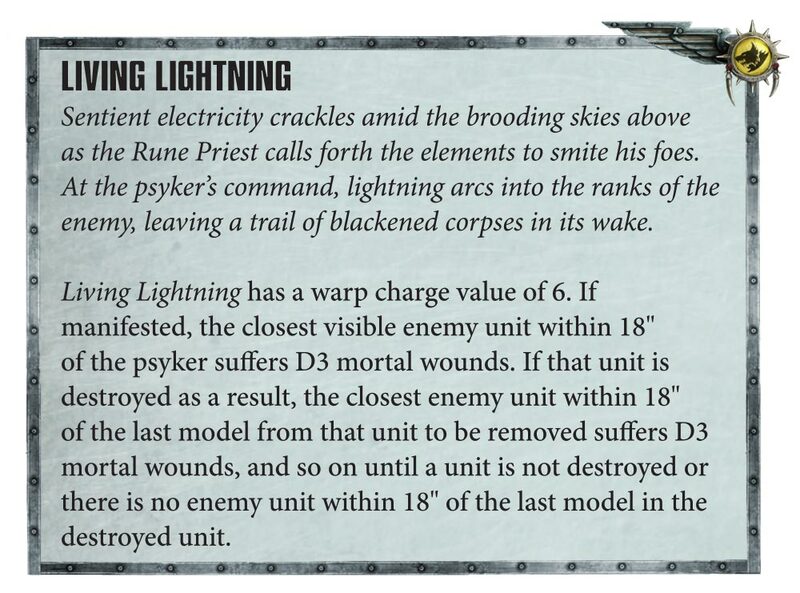 Turn your rune priest into a melee beat stick and that Living Lightning is perfect for batting cleanup come turn 2. All in all, a pretty good day for wolves. Guess we had to wait for the dog days of summer to see what they could bring. What do you think? Is this enough flavor for wolves, or are they feeling like they need more to howl about?